Buellton, CA -- Ocean Park Hotels BLT/LLC has developed, owned and operated hotels in California since 2000. In May of 2017, one of their more recent projects came to fruition when a new Hampton Inn & Suites was built from the ground up in Buellton, CA. While designing the laundry, Michael Ambrose of authorized Milnor dealer Western State Design worked with Ocean Park Hotels management, including Jim Flagg, Owner; Melissa Magallenes, General Manager; and Fidel Billasenor, Housekeeping Manager; to develop a laundry solution that would benefit their long-term needs in terms of labor, production, utilities, and overall efficiency. With the 99-room hotel situated in a remote area on the border of Central and Southern California, Ocean Park Hotels management strategically selected equipment - and a full-service distributor - that would not only meet their requirements but also exceed their expectations. Paul Maag, Development and Construction Consultant, notes, "It was extremely important to have representation from an experienced distributor in the early stages of the project. Ambrose's expertise allowed for some early significant changes in the equipment mix and set-up that made sense not only from an operational perspective but an ownership's long-term goals." Not long after the building was complete, Hampton Inn & Suites - Buellton installed Milnor machines in their laundry. 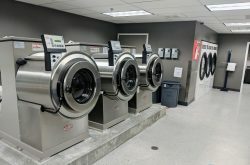 The laundry currently utilizes three 30022VRJ 60lb rigid-mount washer-extractors and three M758 REV dryers and processes 306,000 lb/year (averaging 25,500 lb/month). This equipment mix has allowed the staff the ability to process three loads of mixed goods or same items, allowing more flexibility in items processed as well as the ability to produce more at a faster rate. The additional washer and dryer will also help avoid extra labor and overtime costs. Reflecting on the installation, Ambrose agrees, noting, "Jim and I have built a level of trust, as we have been partners in various facets of the industry for the last ten years. It was pertinent to move forward with the right equipment mix for the specific needs of Ocean Park Hotels, and together with the support of Milnor, we created an efficient solution that does just that." Congratulations to Ocean Park Hotels and Western State Design on this successful project! Western State Design is an authorized Milnor dealer. WSD has been providing innovative laundry solutions to meet clients' needs since 1974. 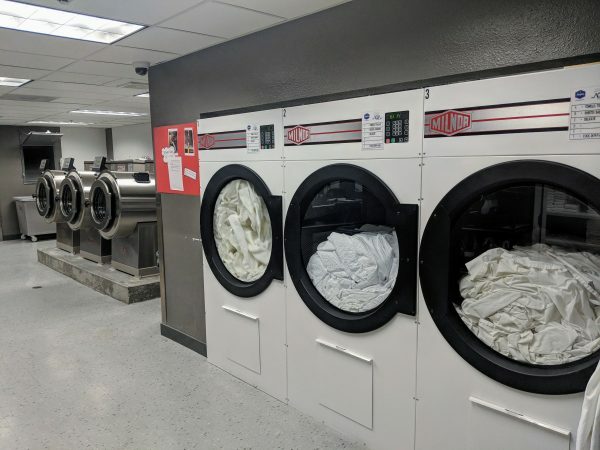 The company offers a full range of expert consulting services, leading to improved laundry outcome, reduced operating expense and improved bottom line. For more information, visit www.westernstatedesign.com. Ocean Park Hotels BLT/LLC develops, owns and operates hotels in Camarillo, Thousand Oaks, Valencia, San Luis Obispo, Santa Barbara, and San Diego, CA. It offers accommodations, amenities, and guest services to business and leisure travelers. Ocean Park Hotels was founded in 2000 and is based in Monterey, CA.